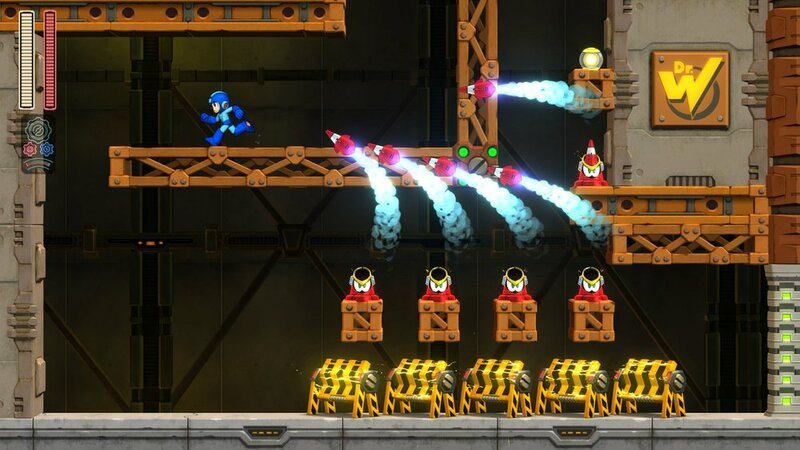 As PAX gets underway, Capcom Unity has pulled the curtain back on the latest Robot Master to join the fray in Mega Man 11: Impact Man! 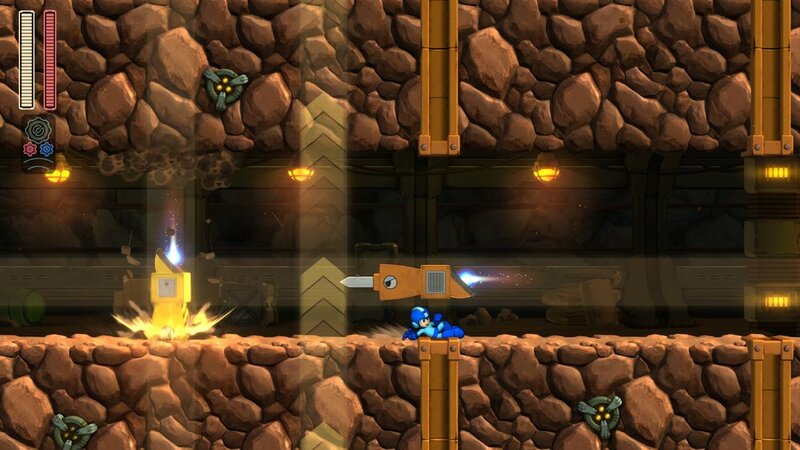 Described as "a dedicated robot who likes to see a job through to the end," Impact Man, is the occupant of the construction stage we saw all the way back when Mega Man 11 was first announced. Made to withstand tough working conditions, the 87th Dr. Wily number's original job was to create solid foundations for future construction projects to be built upon. Now having tunneled deep beneath a construction site, he waits for only the hardiest of heroes to overcome pits, moving platforms, electrical barriers, and a variety of craftily-placed enemies such as Metalls and Pickmen (formerly Pickelmen or Picket Men) lie in wait. 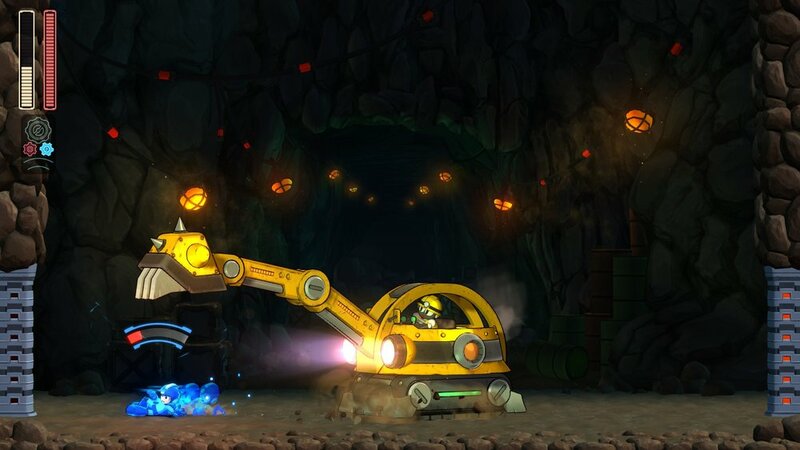 And of course, there's the previously-seen mini-boss, Pickman Digger, who is still getting the hang of driving a backhoe. Fighting Impact Man has you dodging piercing dashes and ground pounds while waiting to return your own fire, and his Power Gear calls on a suped-up form. Defeat him, and you'll get the Pile Driver, a dashing/piercing attack that punctures anything solid, sticking you to it before it explodes, damaging nearby enemies. Power it up with the Power Gear for a longer dash and a bigger burst -- great for speeding through stages and pulling off tricks, so long as you've the Weapon Energy to spare. For more of Impact Man, his stage, and his special weapon, check out the gallery below. And if you're at PAX this weekend, you can test your metal mettle against Impact Man's stage, or any of the other three previously-revealed Robot Masters' stages as well (at Fan Expo this weekend, they only sent Block Man -- more on that later) and get a Mega Man pin!